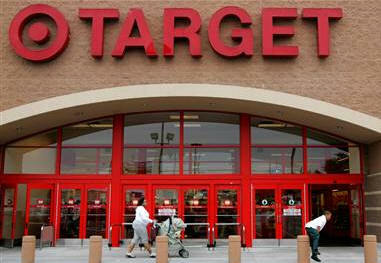 Should Consumers Be Worried About Target Credit Card Theft? What are the Most Complained About Credit Cards? Should Consumers Be Worried About Target Credit Card Data Theft? Millions of consumers are worried that their credit card data and identity might be in jeopardy as a result of the recent Target stores data breach. Should consumers be worried? Tens of millions of shoppers' credit card data were stolen and are being sold on the black market. Hackers also took emails, phone numbers and PINs. But there's comforting news in for consumers. Although the breach will be irritating for millions of shoppers who have to get new credit and debit cards, Target customers shouldn't lose a dime. The reality is, Target (TGT, Fortune 500) will take the biggest hit. When fraudulent purchases are made with a credit card, the credit card companies make the customer and the bank whole. They then recover the money that was fraudulently charged by fining the merchant or raising the merchant's swipe fees. That means consumers shouldn't worry about reports that hackers are selling the stolen credit and debit card information on the black market. Brian Krebs, the cybersecurity journalist who uncovered the Target breach, has traced the stolen data to card shops online. But if the card numbers haven't already been canceled, Target will be responsible for paying for whatever goods were purchased with the cards after they were stolen. That might ultimately cost Target more than $50 million, according to estimates by Gartner financial fraud analyst Avivah Litan. American Consumer Council Complete Regional Office Expansion with Addition of Connecticut and Long Island Offices. In January, the American Consumer Council (ACC) added two new regional offices in Mystic, CT and Uniondale, NY to bring its 2014 regional office expansion total to 18 offices. 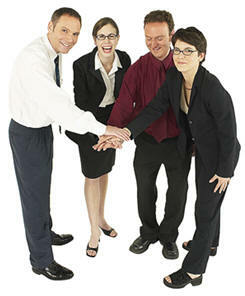 ACC’s physical office locations now include: Beaverton, OR; Springfield, MA; Mystic, CT; St. Paul, MN; Uniondale (Long Island), NY; Silver Spring, MD; Lexington, Kentucky; Atlanta, Georgia; Little Rock, Arkansas; Phoenix, AZ; Philadelphia, PA; Salt Lake City, UT; Metairie, Louisiana; Tampa, Florida; San Antonio, Texas; and, Columbia, South Carolina. The Connecticut Consumer Council office is located at 12 Roosevelt Avenue, Suite A, in Mystic, CT 06355 to serve members in Connecticut and Rhode Island. 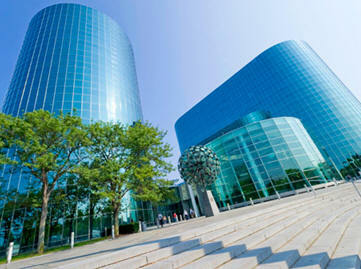 New York Consumer Council and ACC members in Long Island will be served at RXR Plaza, 6th Floor, Uniondale, NY 11556. The Newark, NJ Regional office located at One Gateway Center, Suite 2600-146, Newark, NJ 07102 will continue to serve members in New Jersey, New York, northeastern Pennsylvania, and parts of Connecticut. The Arizona Consumer Council office will continue to serve ACC members in Arizona and parts of New Mexico at 11811 North Tatum Blvd., Suite 3031, Phoenix, AZ 85028. The North Central Region members of ACC including Minnesota, Iowa, the Dakotas and Wisconsin will be served at 445 Minnesota Street, Suite 1500, St. Paul, Minnesota, 55101. The Pacific Northwest Consumer Council office is located at 11240 SW Allen Blvd., Suite 200, Beaverton, OR 97005 and will serve members in Oregon, Washington and parts of Idaho. The Massachusetts Consumer Council office will also support ACC’s New England Regional Office located at 1441 Main Street, Suite 1040, in Springfield, MA 01103. The Philadelphia Regional Office will serve members in eastern Pennsylvania and nearby New Jersey at 150 Monument Road, Suite 207, Bala Cynwyd, Pennsylvania, 19004. The Kentucky Consumer Council office will serve as ACC’s Appalachian Regional office located in The Paragon Centre, 2333 Alexandria Drive, Lexington, KY 40504. The Carolina Consumer Council, will serve both North Carolina and South Carolina, at 1320 Main Street, Suite 300, Columbia, SC 29201. The Maryland Consumer Council office will continue to serve as ACC’s Mid-Atlantic Regional office located at Metro Plaza II, 8403 Colesville Road, Suite 1100, Silver Spring, MD 20910. Thousands of consumers are lodging complaints with the government’s financial watchdog about their credit cards, and some issuers are being griped about a lot more than others. Of the more than 25,000 credit card complaints the Consumer Financial Protection Bureau has processed between the November 2011 launch of its complaint database and last September, Capital One received the biggest share, according to new analysis from the U.S. Public Interest Research Group. Based on the ratio of complaints to card purchase volume, however, GE Capital Retail garnered the highest number of grievances through September — with 88 complaints for every $1 billion in purchase volume. Some of these complaints sparked the CFPB to take legal action last month, ordering GE Capital’s medical credit card business to repay $34.1 million to more than one million customers for misleading them into thinking they were signing up for an interest-free line of credit. GE Capital said it disputes this finding, calling the data used “incorrect,” according to spokeswoman Dori Abel. The card issuer believes a more appropriate ratio to look at is the number of complaints versus the number of accounts, and said it received only two complaints for every 1 million accounts using that measure. GE Capital spokeswoman Dori Abel said the PIRG findings were based on “incorrect data,” and that its purchase volume is more than three times the amount PIRG used. That resulted in a “material difference in the calculations,” Abel said. The actual number should be closer to 17 or 18 complaints per $1 billion in transactions, not 88 as PIRG found, she said. ACC’s Friend of the Consumer Award Recognizes Outstanding Businesses in 2014. If your company or organization would like to increase its credibility with consumers, you should consider applying for the Green CSM Certification. Applications for the 2014 Spring cycle are now being accepted through March 31, 2014.